Welcome to ČESTAND, the leading association of companies in the field heavy and oversize transport and associated suppliers in the Czech Republic. The ČESTAND association was founded in 2010 and since than has been pursuing interests of transport companies and producers of heavy and oversize cargos. 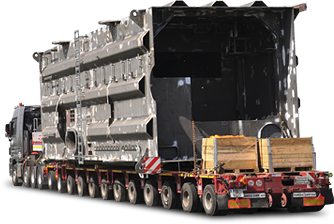 The main goal of the association is to provide high-quality heavy and oversize transports in a reliable, safe and efficient way. Morover the association try to secure better conditions for providing heavy and oversize transports in the Czech Republic, mainly through a creation and protection of spine routes which would connect important producers with logistic hubs. Through its activities, the association enables to keep industrial heritage of Czech Companies and support employment of thousands of workers in heavy industry, engineering, power engineering and construction industry.